Slots.lv, operated by Lynton Limited, first opened its door in 2013 and has since built up a reputation for being a world-class online casino that is trusted by thousands of casino game players around the world. There are more than 400 games to choose from, each audited by eCogra to ensure they are fair. There is a huge welcome bonus of up to $5,000 available in addition to a comp point program that has a three-tier system. Plus, there are ongoing promotions including a VIP host, exclusive offers and birthday gifts. Two bonuses are available to casino players: A $5,000 Welcome Bonus and a $2,000 Welcome Bonus. Slots.lv offers 200% match bonus up to $1000 for new users. Players making their second, through to their ninth, deposit receive a 100% match bonus on each deposit up to $500. Users are required to playthrough 35x on the bonus and initial deposit in order to withdraw any of the bonus funds. Playthrough counts only on keno, scratch cards and slot games. There is a 100% match bonus for first time depositors up to $500. A 50% match bonus up to $250 for the second through seventh time depositing. The playthrough is a bit higher here. Users will have to play 120x of the bonus and deposit figure to make a withdrawal. Playthrough counts only on video poker and blackjack. The Comp Point Program rewards you in the form of cashback, with the amounts varying depending on your VIP status, which are either Silver, Gold or Diamond. Silver VIPs earn 1 point for $1 bet, Gold VIPs earn 2 points per $1 while Diamond VIPs earn 3 points per $1 wagered. There are several deposit and withdrawal options available at Slots.lv. You can deposit into your account using Visa, MasterCard, American Express and the cryptocurrency, Bitcoin. Withdrawals are done via Visa, Bitcoin, Check or Bank Wire. The minimum deposit stands at $20 in any form, while the minimum withdrawal is also $20 unless you want to receive a check, then you must withdraw at least $50. Withdrawals can be pending for up to 72 hours with credit cards processed in 4-7 business days and wire transfers going through in 5-10 business days. Bitcoin is usually processed in a few minutes of the withdrawal being approved. There is no app for Slots.lv, but players can still play on the go. Slots.lv is available on iOS and Android-powered devices, so you can use your iPhone, LG, Motorola or Samsung to play some of the world’s best online slots and video poker games wherever you are, be that from the comfort of your own home or when you’re out in the big wide world. That means Slots.lv players are able to play from their phone or tablet. The mobile version of the site stays true to most of Slots.lv’s desktop design with a little added bit of compact. Load times aren’t an issue on the mobile. Getting started is as easy as accessing Slots.lv from your web browser on your phone or tablet. Once there, log in or sign up and you’re off to the races. The gaming software at Slots.lv is among some of the best in the business. The site uses tech provided by the likes of Betsoft, Realtime Gaming, Rival and Makitone Gaming, who have been around as long as online casinos have. Slots.lv uses all these software providers so that it can provide the best selection of slot machines for its customers. An online casino named Slots.lv would likely put an emphasis on its slot options and that’s true with this casino. Still, Slots.lv offers most of the table games popular with regular casino players. Video poker, blackjack and roulette are all available if you need a break from the slots. Unfortunately, there is not a live dealer available on Slots.lv. No online casino can last more than five years in a competitive market without being open and trustworthy, which is exactly what Slots.lv are. The company has its games audited by eCogra, which ensures fairness. At the last review, Slots.lv paid out on average 91.41 % across all of its casino games, while its Blackjack products returned more than 99%. Video Poker lovers can enjoy returns of between 98.1% and 99.54%, which is up there with the highest payouts anywhere in the online casino world. If you are looking for an online casino site that you can play from your mobile phone or tablet, one with a huge welcome bonus, first rate customer support and industry-leading payout percentages, then you should look no further than Slots.lv. 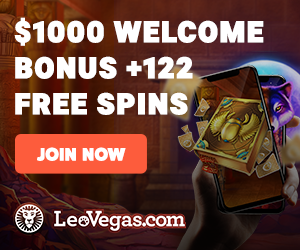 Sign up via our links today and you’ll be ready to play some of the best slots and video poker games anywhere online and within a matter of a few minutes.